Rev MaryAnn R Rennie gave this lovely 'Time for Reflection' talk in the Scottish Parliament on 13 March 2018. These last few weeks have been full of celebrations for the church community of which I am part. On the 17th and 18th February we marked 200 years since the rediscovery of the tomb of Robert the Bruce, and this weekend just past we have been celebrating 200 years since the laying of the foundation stone for the “new” Abbey Church. The first of these two events, the rediscovery of the tomb, led to a hurried re-draft of the plans for the new building by the architect, William Burn. 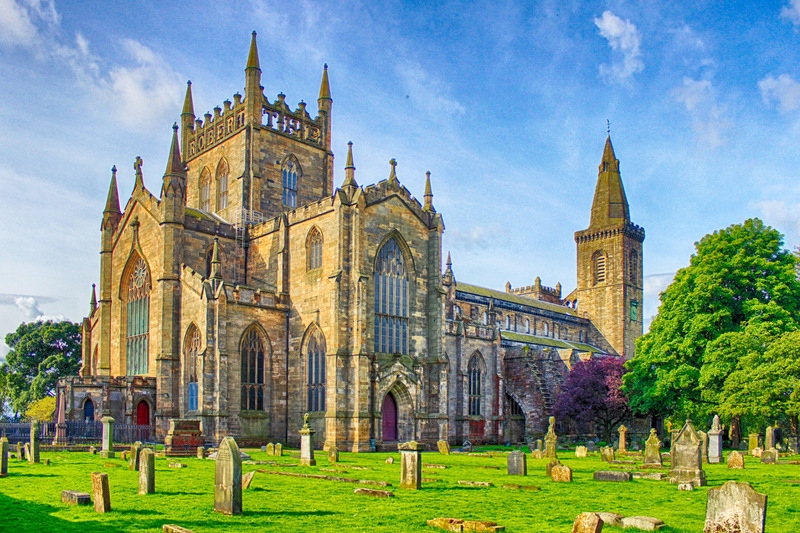 For those visiting Dunfermline today, the tower and those words act as a signpost, bringing those looking for royalty to our door. Of course, today they also have to navigate through the one-way system! The boasting of an earthly king on a building created for worship with the heavens frequently prompts the question of why this name rather than Christ’s name. As a Christian community our purpose is to be the church in worship and in action. At times the history can be overwhelming of our purpose. While celebrating Robert the Bruce’s myth, mystique and heroism, we are also aware of his duplicity, subterfuge and bloodshed. These elements of his life are shared with other historical and even Biblical heroes. They are reminders of the flaws of humanity. The meeting of the Gospel story of Jesus Christ with the story of the king of Scots within the building brings richness to Jesus’s meeting with the flaws of humanity and still looking for the best. In challenging politician, thief, and religious leader, Jesus brought to the fore human qualities of love, compassion and justice to be treasured, inspired and nurtured. But living with others should be an opportunity to look for and celebrate the best of another, and to be enriched by that encounter.